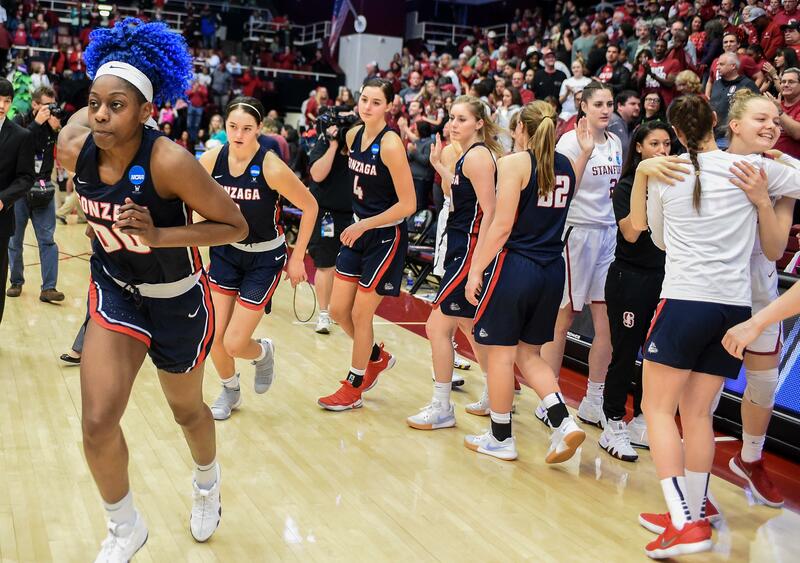 UPDATED: Thu., Aug. 9, 2018, 4:42 p.m.
Gonzaga women’s basketball fans may be getting the best of all worlds in the nonconference season schedule announced Thursday. The Zags will host six of those games, including the headliner on Dec. 2 against Stanford, which knocked GU out of last year’s NCAA Tournament. “Stanford is always fun,” said coach Lisa Fortier, who could say the same about the rest of the schedule. It opens with an exhibition game on Nov. 2 against Carroll College and continues with matchups against almost every regional rival. Montana comes to the McCarthey Athletic Center on Nov. 7. Four days later the Zags are at Eastern Washington, then return home on Nov. 13 against Idaho State. A road game at UNLV precedes the inaugural Vancouver Showcase on Nov. 22-24 against a national field. Teams announced so far include Drake, which won the Missouri Valley Conference last year; Oregon State, whhic advanced to the NCAA Elite Eight last year; Western Kentucky, which won Conference USA last year, and South Carolina, the 2017 national champion and regional finalist last year. The tournament is set to take place at the Vancouver Convention Centre, with matchups to be announced soon. “We have put together another challenging schedule this year,” Fortier said. “After Thanksgiving, GU will get back-to-back chances at some payback. The first comes Nov. 28 against Colorado State, which beat the Zags in their season opener last year. Four days later, Stanford comes to town. The Cardinal ended GU’s season last year with an 82-68 win in the opening round of the NCAAs. Washington State and first-year coach Kamie Ethridge visit the Kennel on Dec. 9; Idaho comes to Spokane nine days later. Published: Aug. 9, 2018, 3:10 p.m. Updated: Aug. 9, 2018, 4:42 p.m.